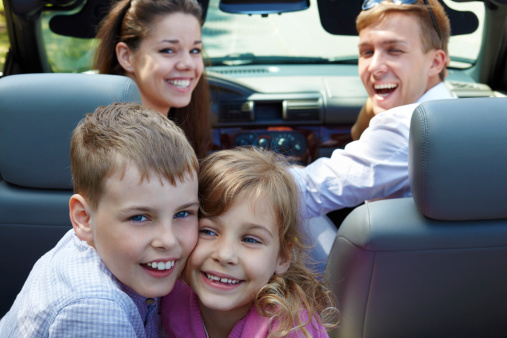 Does safe driving reward you when it comes to car insurance rates? It makes sense that if you’re a careful driver you won’t have to pay as much as those with a poor record on the road, but unfortunately it’s not always that straightforward. Your driving history does count, but other factors you may not have thought of, ranging from your job to where you live, can affect your premiums. So, what are these hidden factors? Here are seven of them. The car you choose to drive can affect your rates. A car with a good safety rating will bode well, while a model that’s generally known to be attractive to thieves won’t help your quest for lower premiums. Newer cars often attract lower rates than older ones, and bigger vehicles are generally considered less likely to be damaged in an accident, and therefore cost less to insure. If you frequently drive through urban areas, which have a greater risk of vandalism, theft and accidents than rural areas, this can push your premiums up. Some insurers will also look less kindly on a car that’s being used for business use, as that generally racks up more miles and therefore increases the chances of you having an accident. As the article “Even Safe Drivers Get Hammered By Car Insurance Rates” points out, insurance companies tend to be suspicious of drivers who let their insurance lapse for long periods of time. Uninsured drivers are considered to be greater risks than those with insurance, so make sure you keep your car insurance up to date at all times. Insurance companies aren’t just looking at what you drive and where you drive it. Lifestyle factors like your job also matter. If you’re using your car to commute and you work in a profession that covers more miles, such as journalism or sales, you might pay more. If you’re in a high risk profession with long stressful hours such as being a doctor or a lawyer, you might be considered more likely to have an accident, thus pushing your premiums up. Your age can play a big part. For men, being younger puts them at a disadvantage, as younger men are more likely to get into accidents. For women, it’s being older that’s the problem, as older women tend to have more minor accidents. Getting married can make a surprising difference to your premiums too – married people generally have fewer accidents, so ringing the wedding bells can have the side effect of lowering your premiums. The more densely populated the area where you live, the more likely you are to have an accident, and therefore the higher your rates. Vandalism rates, the number of uninsured drivers in the area, and even the chances of inclement weather, can all affect how much you pay. Whether your car is kept on the road or safely in a garage matters too, so lock that car up if you can. You’re probably aware that a bad credit score can affect your ability to qualify for loans, credit cards, and so on, but did you know it can also affect your car insurance rates? Many insurance companies take credit scores into account these days, and drivers with lower scores often enjoy lower premiums. It’s worth taking the time to straighten out your credit record if you can. Getting a good rate on your car insurance comes down to much more than whether you’re a careful driver. Not all factors are in your control, but taking charge of those that are will help you to drive down the cost of your car insurance.